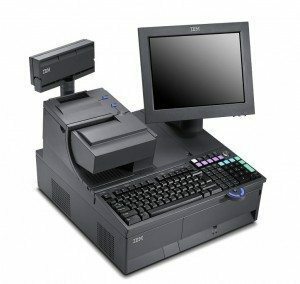 The IBM SurePOS 700 is the industry’s premier point of sale solution and delivers maximum performance and adaptability for large and midsized retailers. A powerful combination of IBM Light-Path Management and IBM Director, including IBM Remote Management Agent (RMA), help staff monitor and manage systems. Plus, front access and a virtually tool-free design mean servicing the IBM SurePOS 700 Series has never been easier. For high performance and flexibility, standards-based platforms like Intel Core 2 Duo processor technology support the latest innovative applications and integrate with existing systems to optimize investments. The SurePOS 700 is the industry’s premier point of sale solution for retailers who demand maximum performance, manageability, and adaptability to transform their business to a highly differentiated and customer-focused enterprise. Unique features help reduce solution cost and complexity while providing a scalable design to enable retailers to operate an efficient and resilient business. **Machines can be configured to customer’s needs. For instance, you could choose wide or narrow, your choice of color (Litho Gray, Iron Gray, Storm Gray), I/O Ports (ex. USB, RS232/RS485), etc.